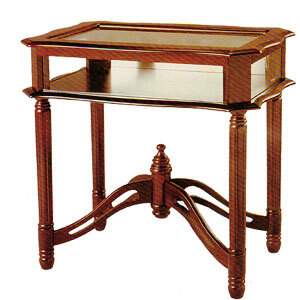 Glass Top Curio Table in Cherry or Oak Finish. This Table Features A Bevelled Glass Top And A Shelf For Storage. Easy To Assemble. Strong Construction.